– Lie on your side on an exercise mat. Fully extend your legs with one resting on top of the other. Fully extend the top arm down the side of your body. – Bend the arm at floor level to 90 degrees. Your upper arm should be parallel to your body, while your forearm is at 90 degrees. This is the start position. – Lift your body off the ground and balance on your forearm and the side of your foot, while keeping your body in a straight line. 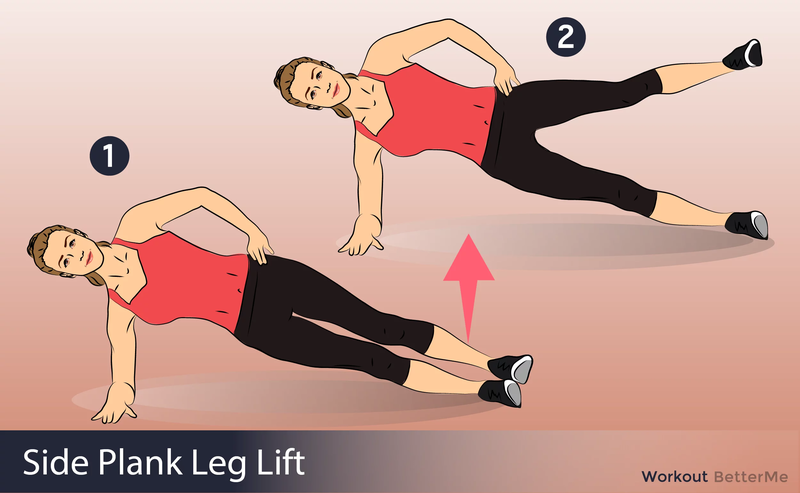 – Start to do leg lifts with the right leg. 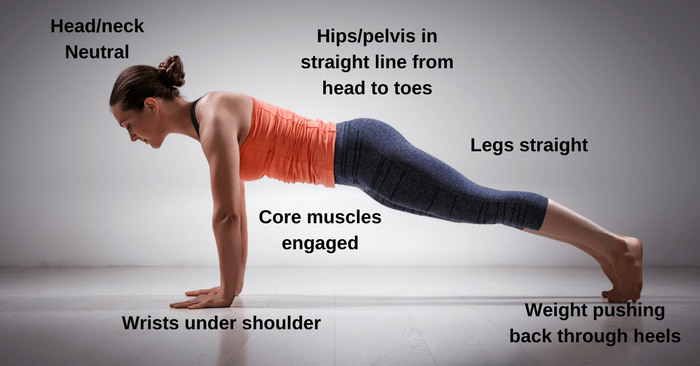 – Start in a high plank position with hands planted firmly on the ground, wrists directly below your shoulders. and body in a straight line from head to toe. – Jump your feet apart like you would do for a jumping jack. Keep your knees soft to help absorb the impact. – Jump your feet back together, landing softly on the balls of your feet. – Repeat at a brisk pace for 30 seconds. Next post Don’t Let These 25 Workout Fears Keep You From Your Best Body Ever.